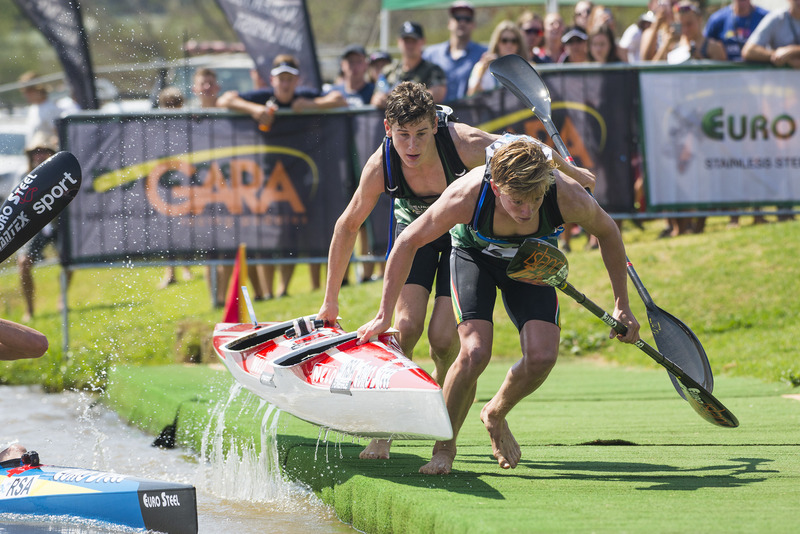 Team South Africa celebrated a double medal haul at the ICF Canoe Marathon World Championships on the Cavada River at Vila de Prado in Portugal, as Nick Notten and the junior K2 crew of Hamish Mackenzie and Dave Evans raced onto the podium in their respective races. 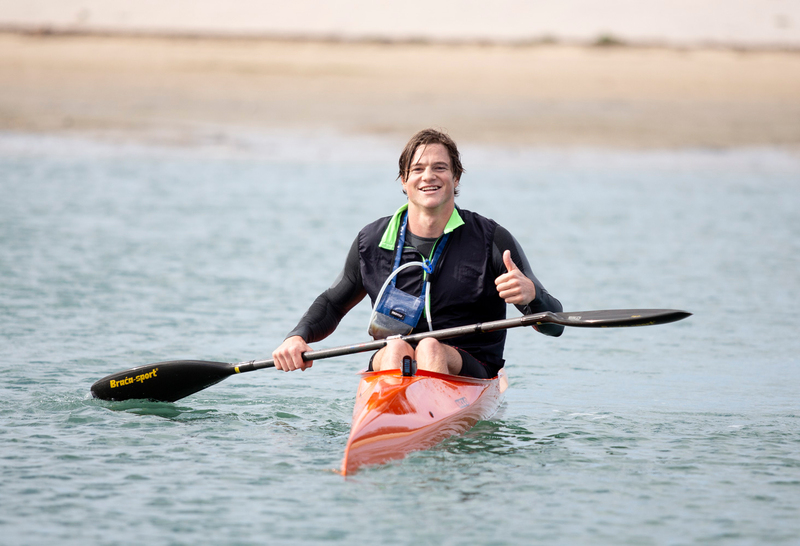 Notten was locked in a ferocious four-boat scrap at the front of the Men's Under 23 K1 race that was reduced to three after the dramatic disqualification of Hungarian star Grygory Jakab. With the medallists decided Notten was left to slug it out with John Vold of Denmark and German ace Marcel Paufler to decide who would occupy which steps on the podium. Vold took charge of the final end sprint and Notten was content to settle for the bronze medal at the end of a gripping race. 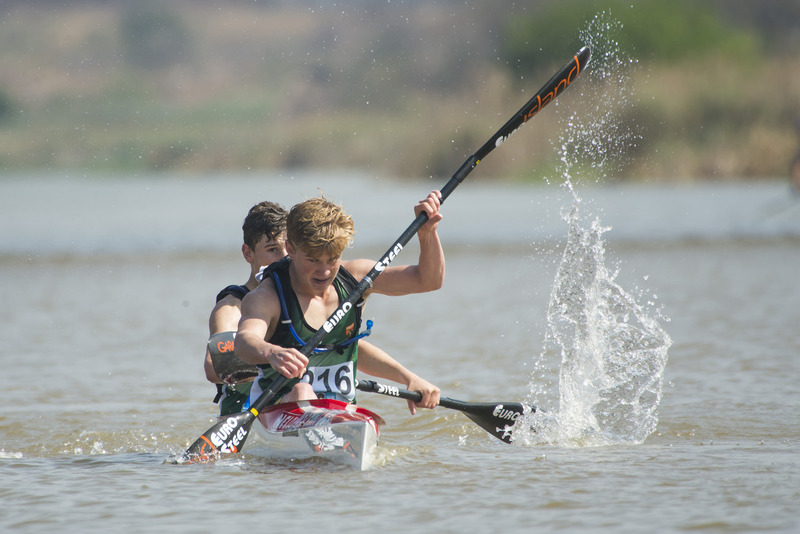 Maritzburg College schoolboys Mackenzie and Evans grabbed the first medals for Team SA missing out on a world title by the narrowest of margins. The race was soured however by an appeal by one of the trailing Spanish crews objecting to the South Africans paddling under one particular arch of the bridge over the river. Despite the fact that it had no impact on the outcome of the race, the race officials slapped the crew of Mackenzie and Evans with a fifteen second penalty that took them down to third. The duo, who raced to the silver medal at last year's world championships at Camps Drift, raced a hugely courageous race, staging a staggering solo break during the first half of the six lap contest and went into the last 1000 metre lap seemingly holding all the cards over the powerful Danish crew of Thornbjorn Rask and Nikolai Thomsen. The Danes timed their charge in the finish lane to perfection and surged in the final stroke of the race, forcing the judges to a photo finish to confirm that they had indeed pipped the South African crew by an estimated three centimetres. "I definitely didn't expect the rest of the bunch to catch us after we got away," said Mackenzie after the race. "Rask and Thomsen are so powerful, we just couldn't hold them off at the finish." The Euro Steel Maritzburg College pair were dominant on the portages and managed to establish and build on their leads using their running prowess at the end of each lap. "We had practiced our portages so many times, we knew we could get away there, but it is a long way," said Mackenzie. "When they caught us I did feel like we still had it because we could rest on the diamond, but they were the better crew on the day," he added. Compatriots Uli Hart and Matt Fenn were also on the front bunch early on but were the first casualties of the ferocious pace and tactical jousting on the front bunch, and were left to race alone into fifth position overall. Earlier in the day the Junior Women's K2 racing saw Hamish Mackenzie's cousin Caitlin Mackenzie race into eighth position and teammates Amy Peckett and Cayleigh Shaw earning a solid top ten finish two places further back. Saturdays programme sees South African paddlers taking on the Men's K1 and the Women's K1 races.